De-bouncing does not exist in the old controller which makes it terrible when used with most old keyboards. The RAM available on the PIC controller is insufficient to store the state of many keys/stops with de-bouncing information. Requiring an external MIDI controller for the system unnecessarily increases the latency. PIC micro controllers are becoming more expensive and difficult to develop on in comparison to many of the more powerful ARM-based development boards. Hardware based configuration of the old controller is simple – but clumsy and requires more parts. 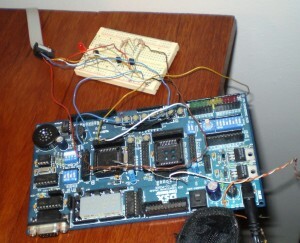 The old PIC16F877A based controller. The new controller will be a generic USB based MIDI controller i.e. no additional MIDI hardware will be required. 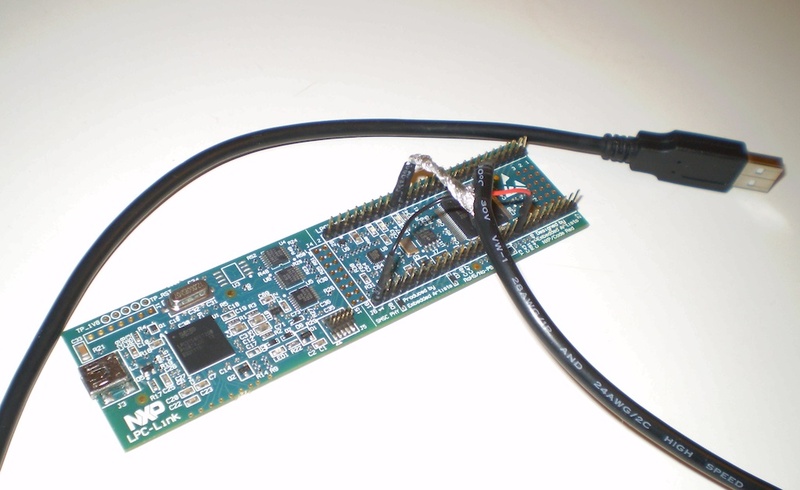 I am basing the software around an LPC1769 development board which has a mass of features including a USB 2.0 controller and is available at a reasonable cost here. The project is incomplete but I will be documenting it here and on the blog as I go. I haven’t quite figured out the best way of enabling user configuration to occur yet – but it will be simple and I’m hoping that it will not require modification of source code (as with the previous controller). I’m thinking of a special startup mode which turns the controller into a serial port rather than a MIDI interface which could be programmed through a terminal, which is nice in the sense that I don’t need to write any software… otherwise it would probably be configuration over MIDI system exclusive messages – which may require custom software. There is going to be a need for some external circuitry to connect keyboards. I will eventually draw these up and put them here when the embedded side of things is finishing up. The LPC1769 development board which I am basing the new controller on. The project source will be maintained on Google Code. I have a USB MIDI device prototyped and working so there should be some (incomplete) code going up in the next week. I am a bachelor student in France and I am interested in your project. I am trying to make a midi console controller from an STM32F4-Discovery. I have read your source code and I do not fully understand how it works. By calling 2 functions in your main.c, one is used to initiate the conbus, and the other to prepare the USB-midi setup, you are able to process the information from your organ keyboard and send back midi information to the computer? I am very confused because i do not see you call many of your “usefull” functions. I have postponed work on this project for a little while to work on other things. At present, the code available only contains a USB MIDI HAL and some code which periodically sends MIDI messages (for testing). The rest of the code at the moment is incomplete.